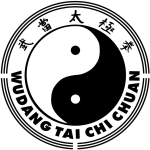 Handform is the section of our Tai Chi Chuan syllabus, which everyone is familiar with. It is the slow moving but continues form routine which is synonymous with Tai Chi. Short Form Square – 32 techniques – broken down and taught in a series of 3,6 or 9 small movements, per technique, to facilitate quicker learning.